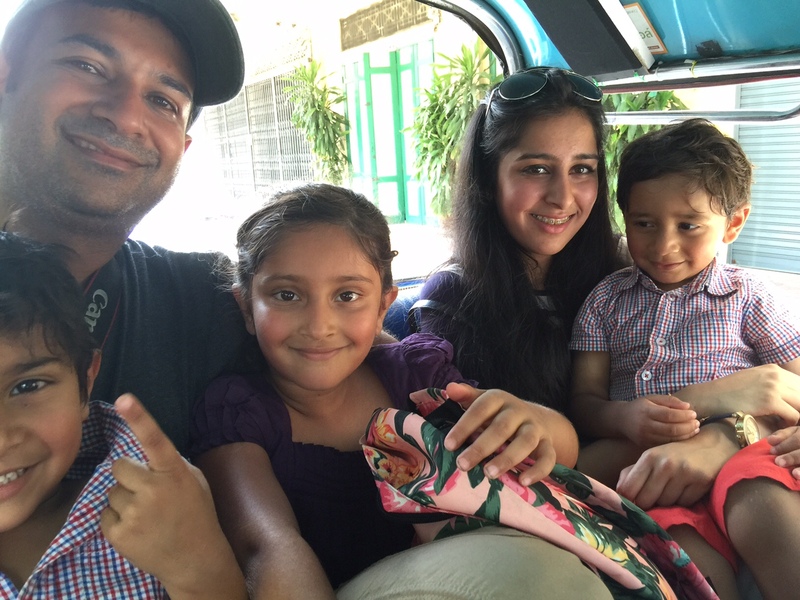 Travelling from the UK to Thailand with three little adventurers in tow, people often look at me like I crazy! However, a long haul destination like Thailand is an amazing place for a family holiday especially as there is so much to do with children of all ages. 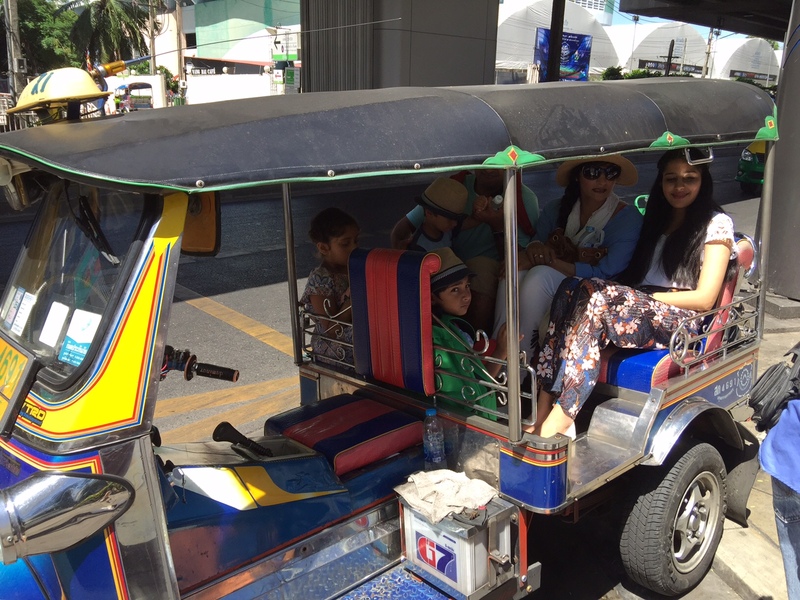 We visited Thailand this summer with children aged 19, 6, 4 and 2 years old and each had an amazing time and there was plenty of activities for them all to do! Thailand has a reputation for not being family focused in areas but during our experience we never once came across anything like this. 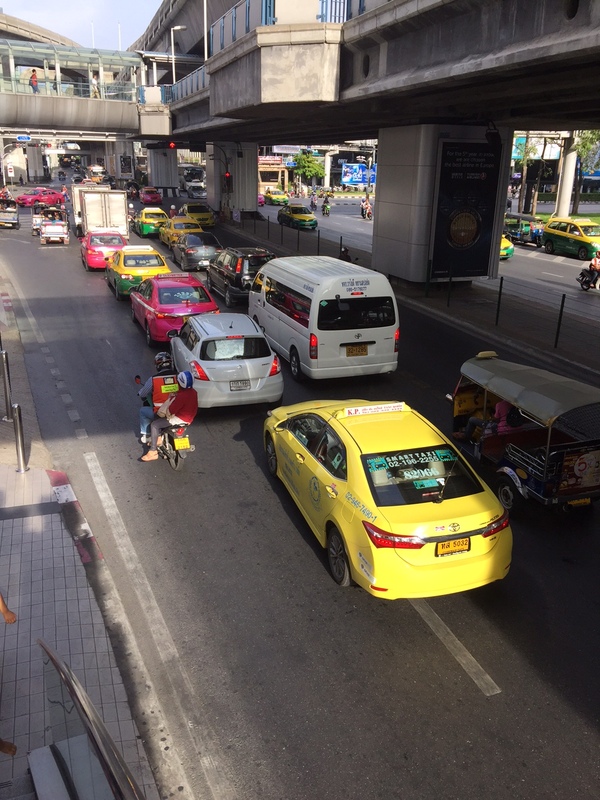 If you avoid the main areas associated with this for example Patpong Market you will find Thailand very family focused. 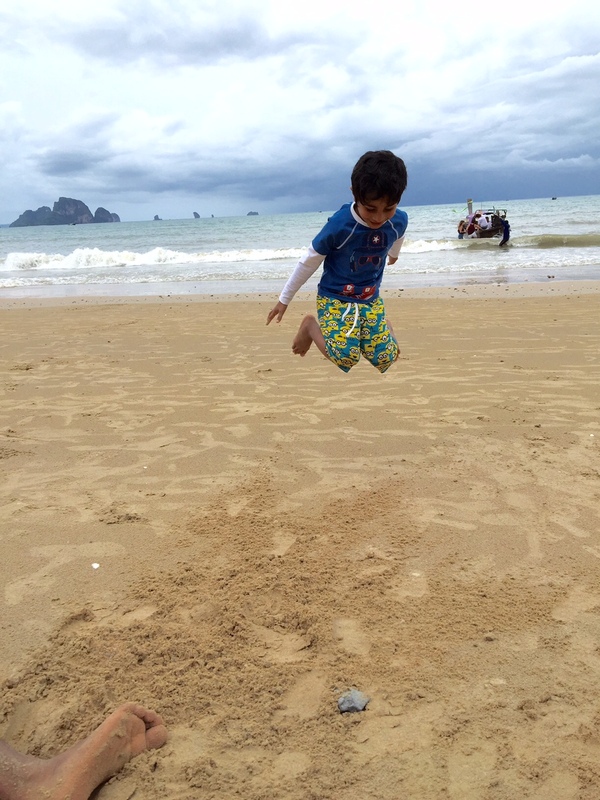 So below I have provided are all the reasons why Thailand is perfect for a family holiday. 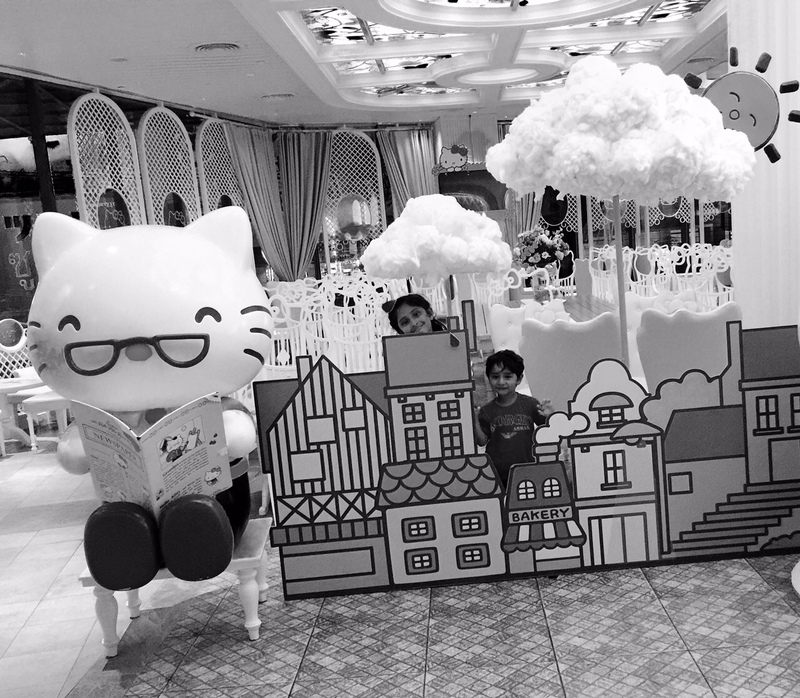 Travelling with children can be really expensive business but once you get to Thailand everything is cheap even in big cities and touristy spots. Hotels, food, activities are reasonably priced and your money will go so much further here then it would do, say in a European city. We booked a hotel in central Bangkok opposite Siam Square and the MBK centre for less then £50 a night (for 2 adults and 2 children). 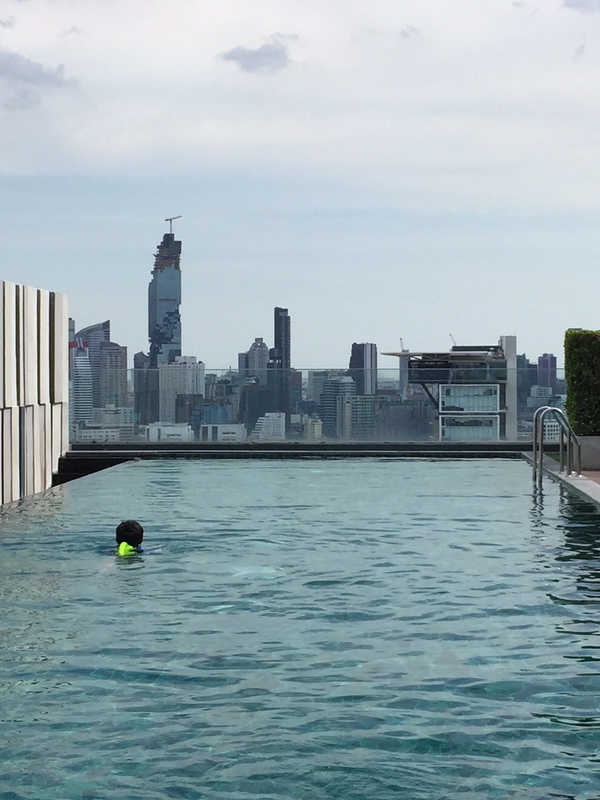 The hotel was perfect and had a gorgeous rooftop pool, not bad for the price we paid. Hostels and hotels on the outskirts are even cheaper. Also, haggling is part of the fun of buying in Thailand and good for a bit of banter, just don’t be too cheeky with your offers! 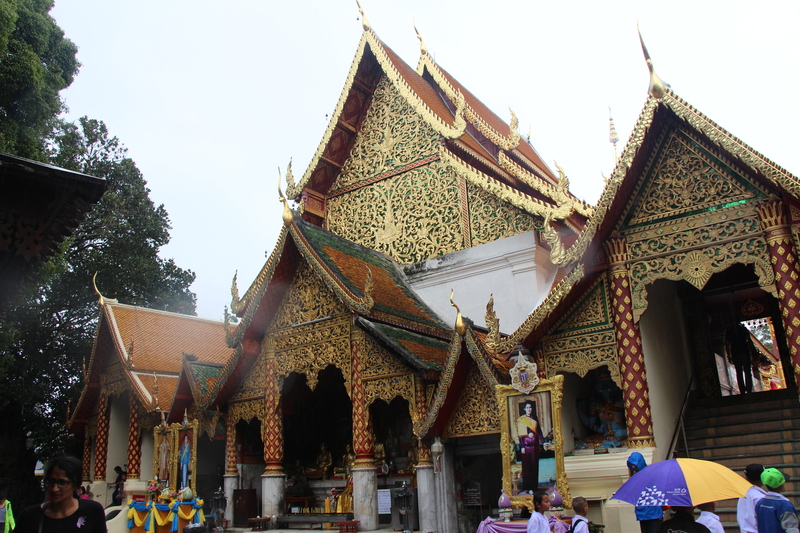 The Thai culture is apparent everywhere and its great for children to learn about the different cultures of the world. 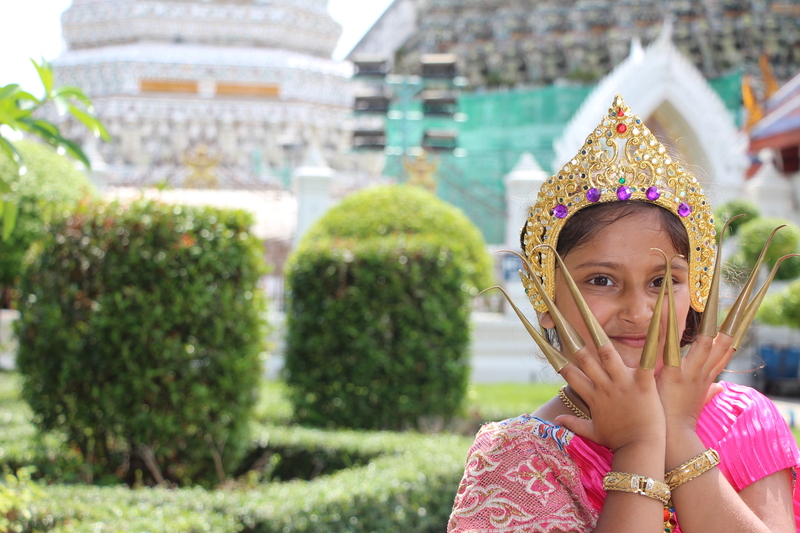 Thai culture is colourful, peaceful and so rich in history and there are lots of ways to let the children experience it. 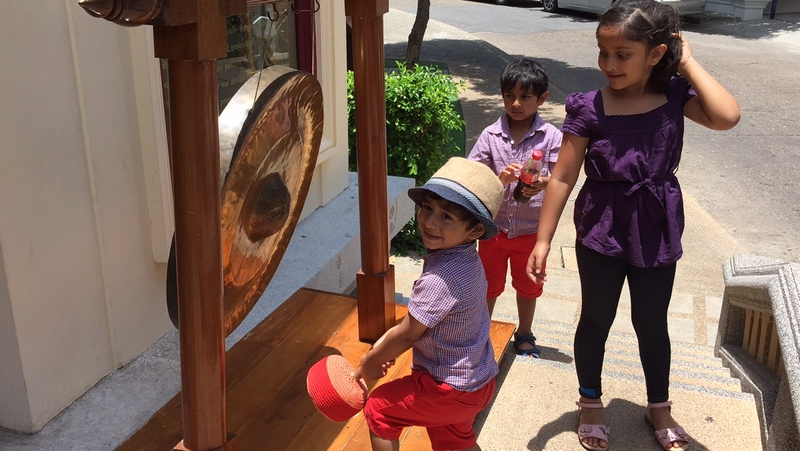 Thailand is the land of temples and its great the children can get really hands on as the temples have lots o things to explore and many bells to ring! 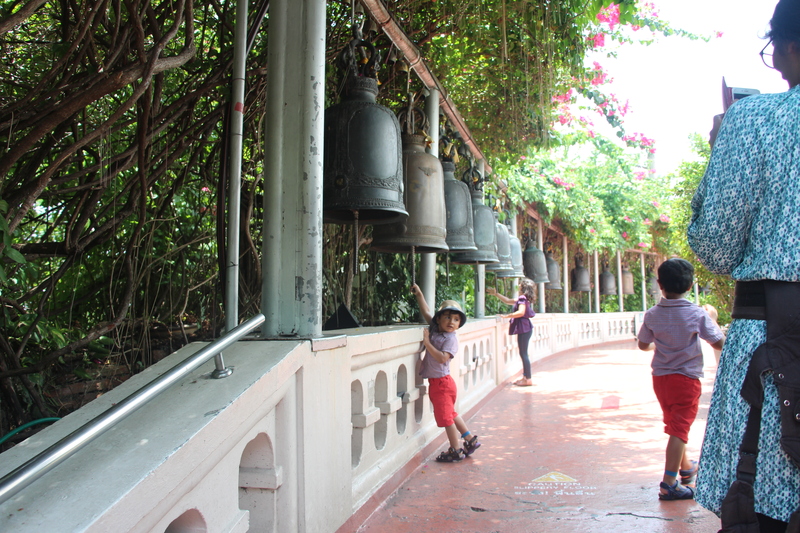 Our favourite was the Golden Mount in Bangkok, so peaceful and the children loved the challenge of climbing all the stairs always looking for bells to ring and gong to bang! We watched the Siam Nimrat show in Bangkok and though the story wasn’t tragic enough for Doc, the show was the most visually stunning show you will ever watch and was a great insight to all the different cultures that make up Thailand today. Thailand is known as the Land of Smiles and after visiting with our children I can totally see why. Along with the Malaysian people we found Thais to be the friendliest, helpful and genuinely lovely people you can meet. People would come over to talk to the children, everyone was always smiling, entertaining and generally welcoming to the little adventurers wherever they saw them. Families are always out together and the children were welcomed open armed everywhere. It was refreshing the children made to feel so comfortable. Who doesn’t want to ride on a tuck tuck, having the wind blowing through your hair as you drive through the crazy streets, its the best way to cool down after a hot day of walking and being in the heat. 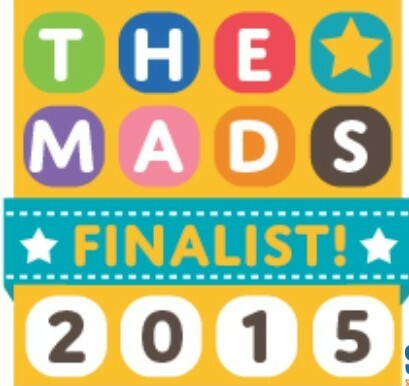 We loved the Tuk Tucks and the little adventurers chose this as their favourite thing. If you are in a car and stuck in the traffic, there is always spot the coloured taxi you can play, we loved how coloourful they all were and they even had the kids favourite colours of pink, orange and green! 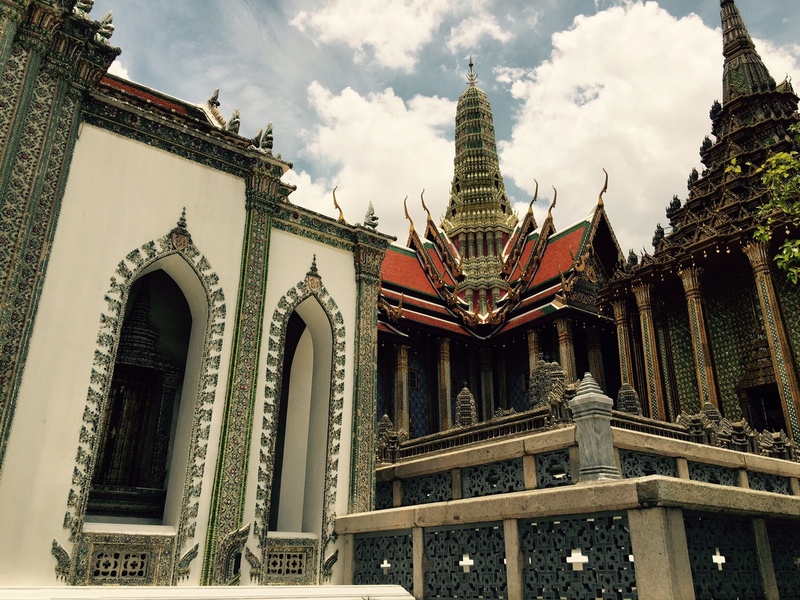 Thailand has some stunning places to visit and my 19 year old nieces favourite was the Grand Palace in Bangkok. 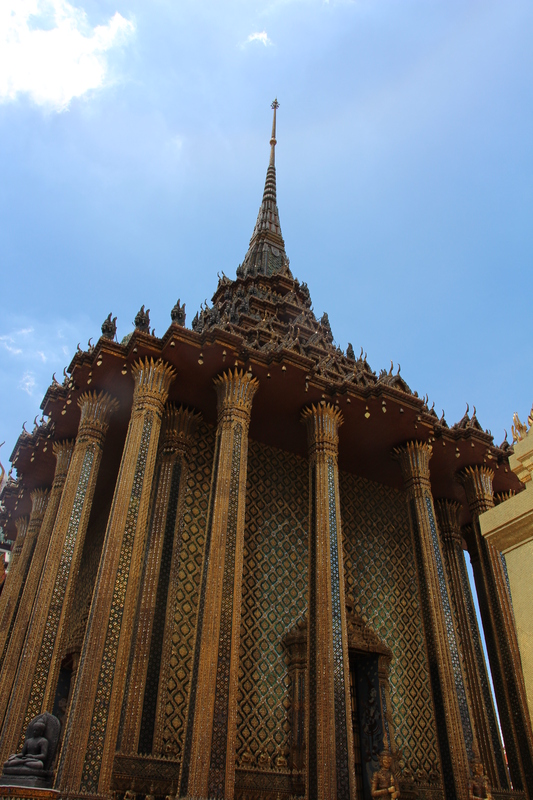 The palace is stunning, intricate and totally awe inspiring. The detail and effort on every inch makes you understand why the attraction is on the must visit of so many bucket list items. The Grand Palace was one of many beautiful buildings we saw on our travels, even our hotel in Chiang Mai looked like an old pagoda! 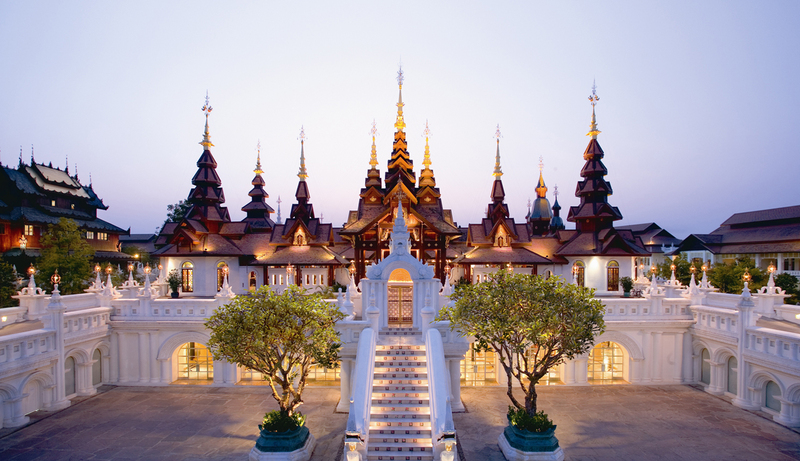 Thailand is home to some quirky yet totally unique places. We visited the Chiang Mai Poo Poo Paper Park (I know great name right) and it was a great way to spend an hour or so. With all the elephants in Chiang Mai, elephant poo is very much in the excess so they opened the poo poo paper factory so visitors can find out how you can turn poo into paper! The tour was really interesting and so hands on and which little adventurer does not like talking about poo! 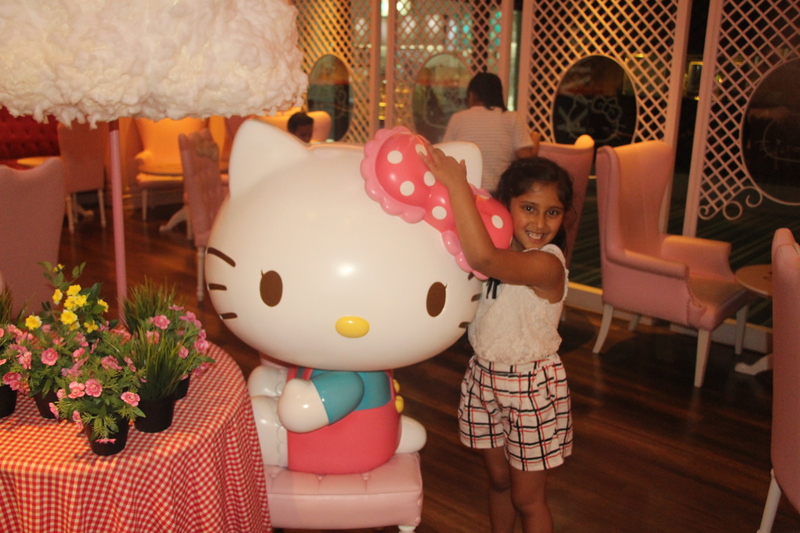 Another one of our favourites was The Hello Kitty Cafe in Bangkok. We thought it was fabulous, so pink and girly but so totally quirky. They had one song playing all day long (you will be singing it days after!) 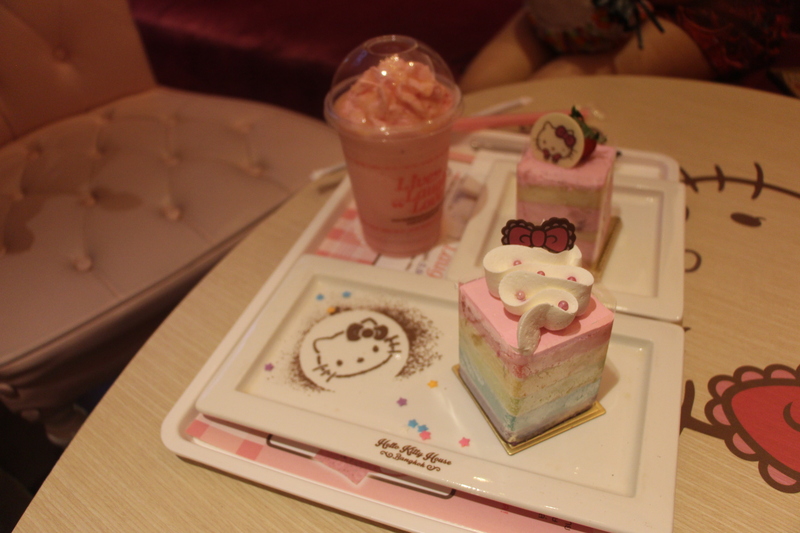 but the cafe was immaculate and it great lengths to make it look very Hello Kittyish. My 19 year old niece is a real foodie and the cakes and desserts were gorgeous! In a previous post I mentioned, the rice planting we did as a family and it was fantastic that children of all ages could get involved. Everywhere in Thailand has amazing, varied outdoor activities, whether it be snorkelling in the stunning blue seas, ziplining through forests in Chiang Mai, trekking in the mountains of Northern Thailand there is something for everyone. We were gutted to have missed the Elephant sanctuary in Chiang Mai and its definitely on our list for future travel. No post on Thailand will be complete without mentioning the stunning beaches that Thailand houses. 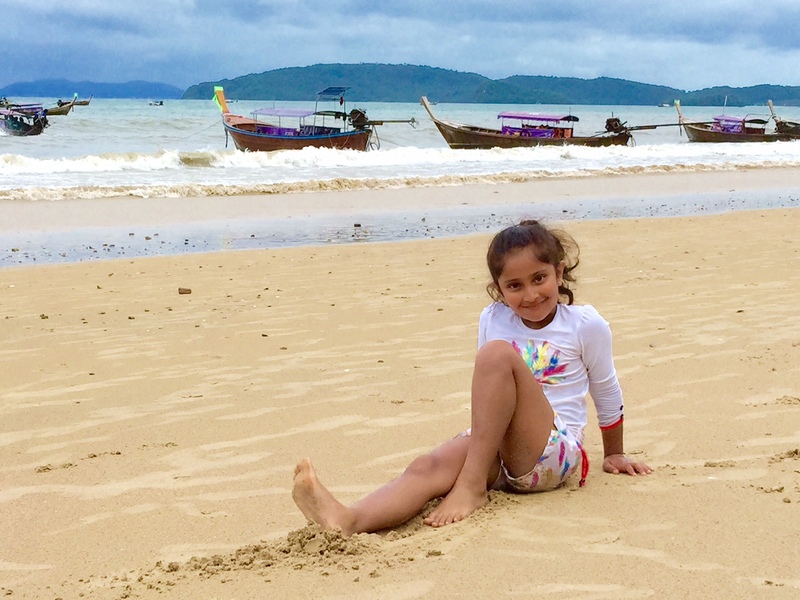 We visited Krabi during the rainy season but we so fortunate to have amazing weather and as it was low season we practically had the beach to ourselves. The sea is a stunning turquoise blue just like you see in all the ravel magazines but seeing it up close is truly breathtaking. I also loved that the sand was the type that the children can actually play with not like that in Dubai which was just too fine. 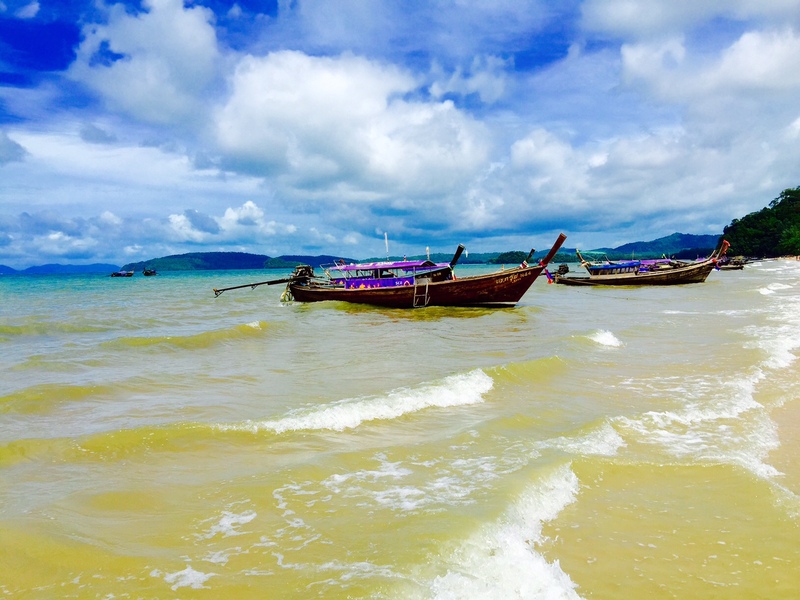 The beach resorts in Thailand are plentiful and you will be spoilt for choice which to visit and which to leave out! 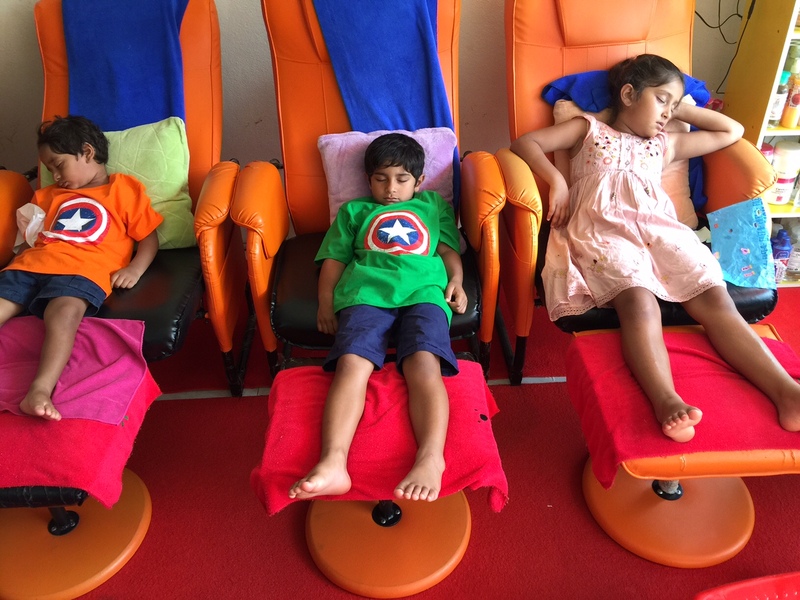 All the walking and adventuring can be exhausting for little (and big adventurers) so what better way to finish the day then with a thai massage? 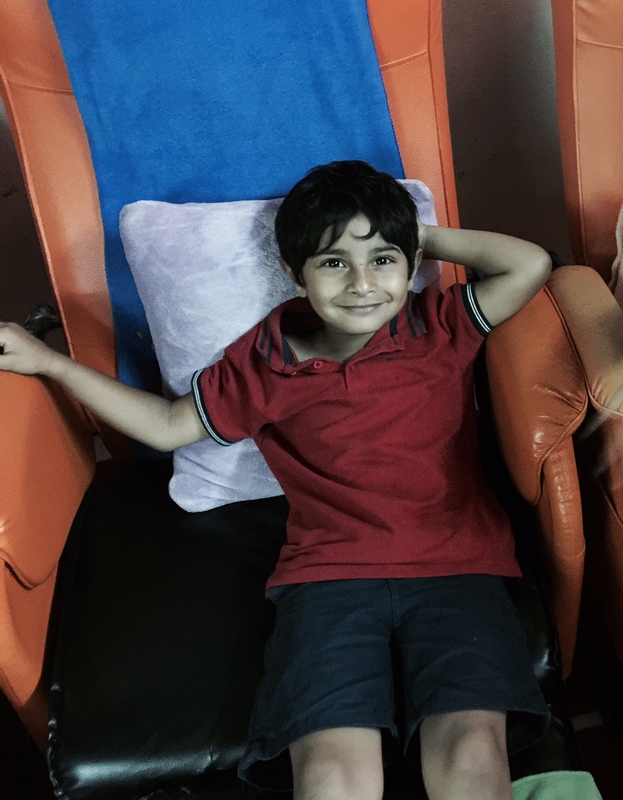 We had apprehensions of taking the children for a massage but the whole time we were there (every day) they were amazing and the massages were great to relax and help them wind down. 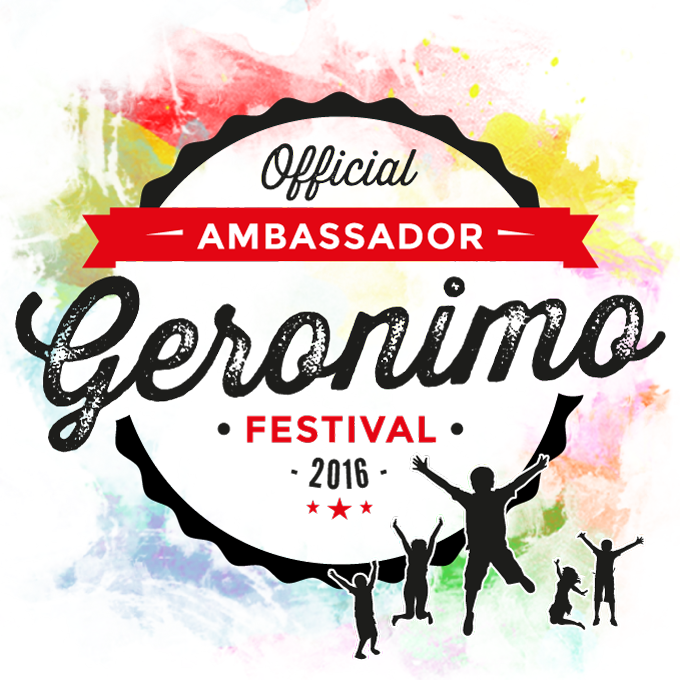 All the staff we came across were amazing with them and for under £2 the massages are the best money we spent and I would say its the best activity you can do with your children. You will all feel relaxed and rejuvenated! Be warned though, the children will be demanding a massage every day from thereon! 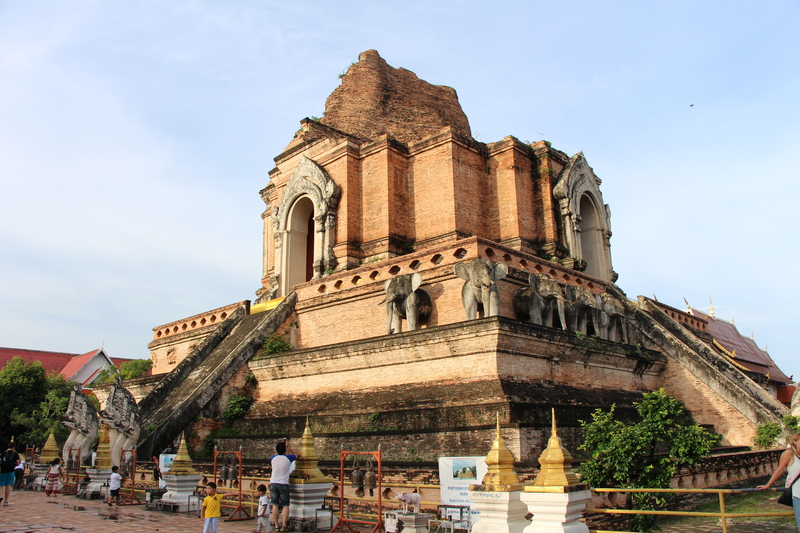 Compared to some other Asian countries, Thailand is very manageable with young children and there is much less of a culture shock as there would be if you were visiting more developing nations. 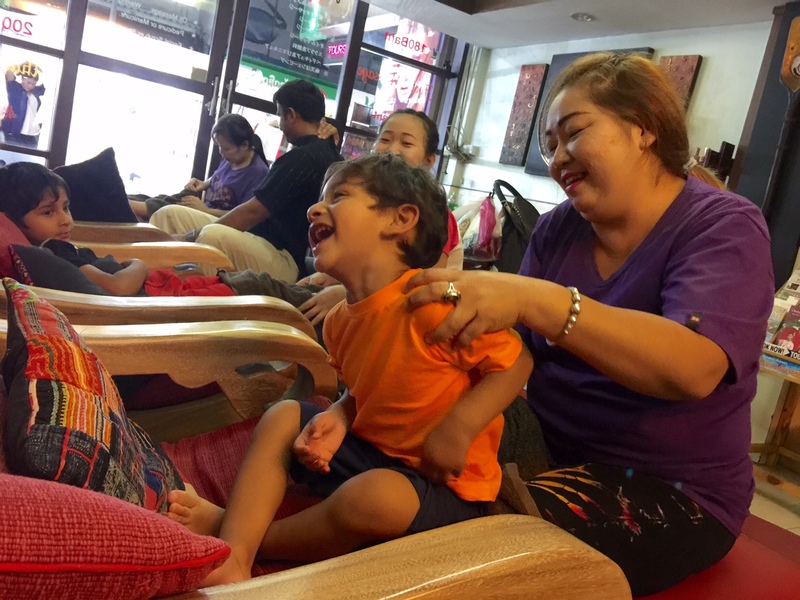 Often if you have little children, it can be too much for them to be placed in a situation so different to their normal home lifestyles but Thailand has a very good balance of providing an insight to life in the Far East without being too much for children. 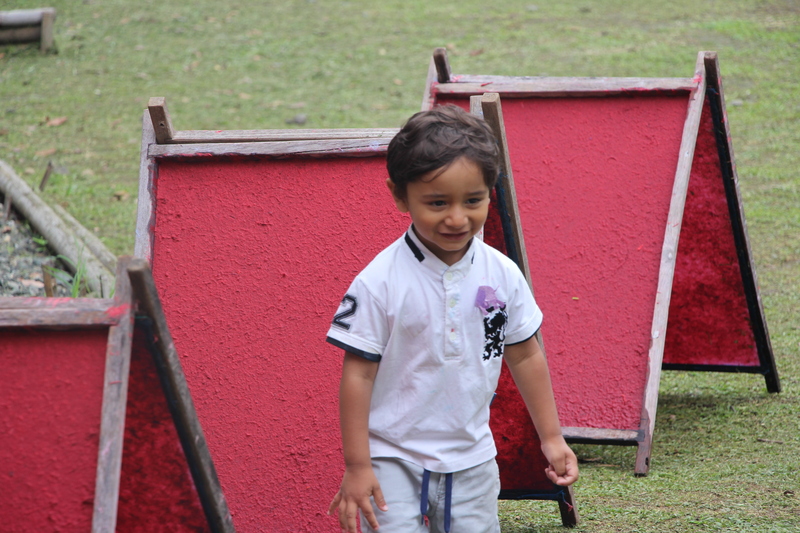 We felt safe and all amenities that you need when you have young children were in good supply. English was also widely spoken so in case of emergency it was always easy enough to get help. 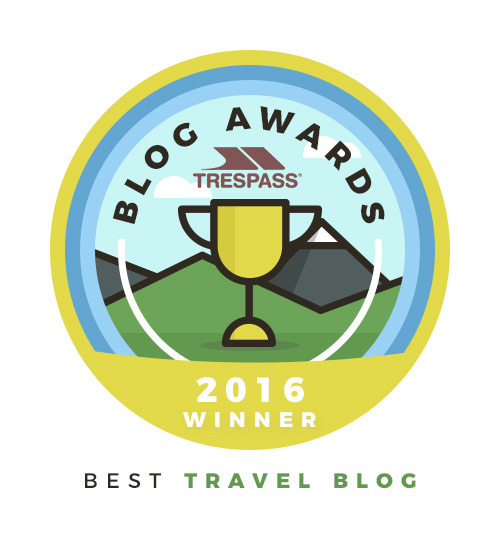 We often hear the saying that “travel is fatal to prejudice, bigotry and narrow-mindedness” and I totally agree with this. The more our children get to see the rest of the world and the people we realise that nothing is very quite what we imagine and that people are all the same regardless of the skin colour, religion or nationality. Aside from the meltdown our 2 year old an hour away from Edinburgh airport, long haul flights aren’t as bad as parents envisage. The big named airlines have great entertainment, lots of food and snacks, friendly staff and comfortable seats for children. 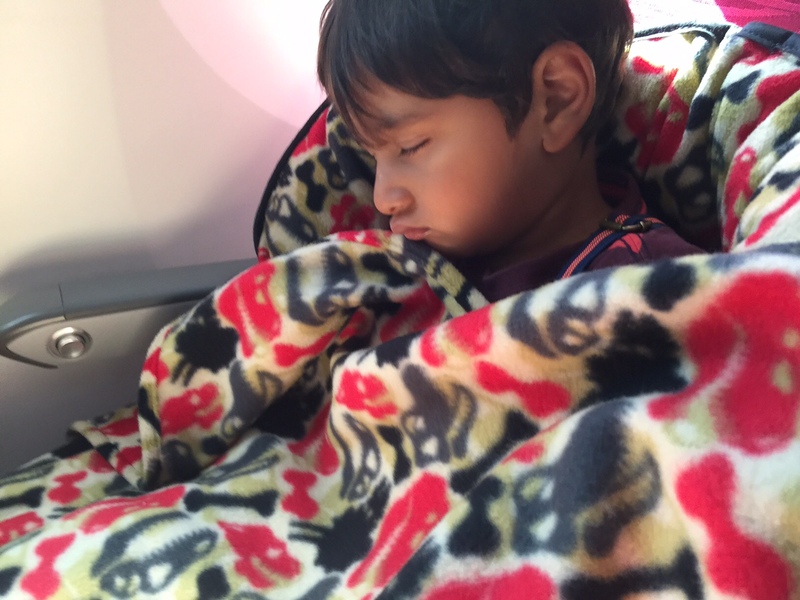 Each child is always given a little activity pack and with some careful planning, the flights are a lot better then some of the short haul ones we have had to Turkey. 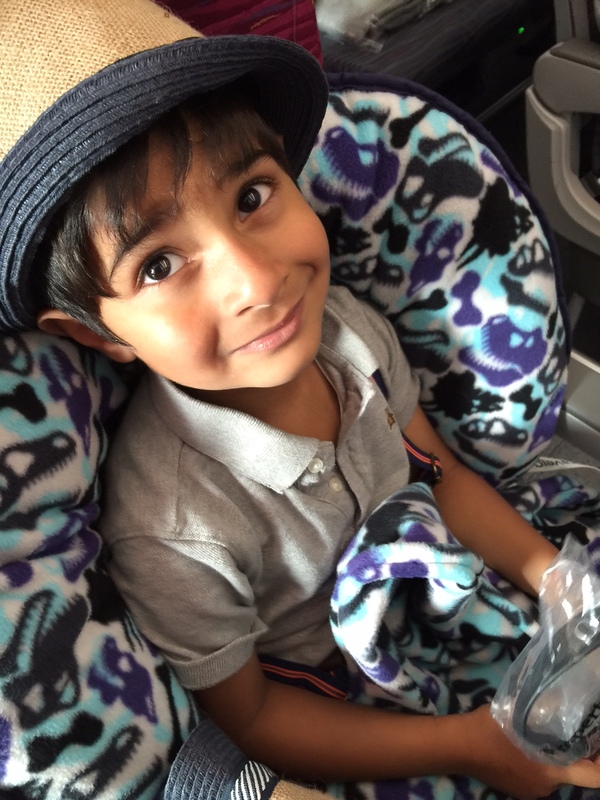 Our 4 year old and 6 year old were amazing on all the flights that we did! 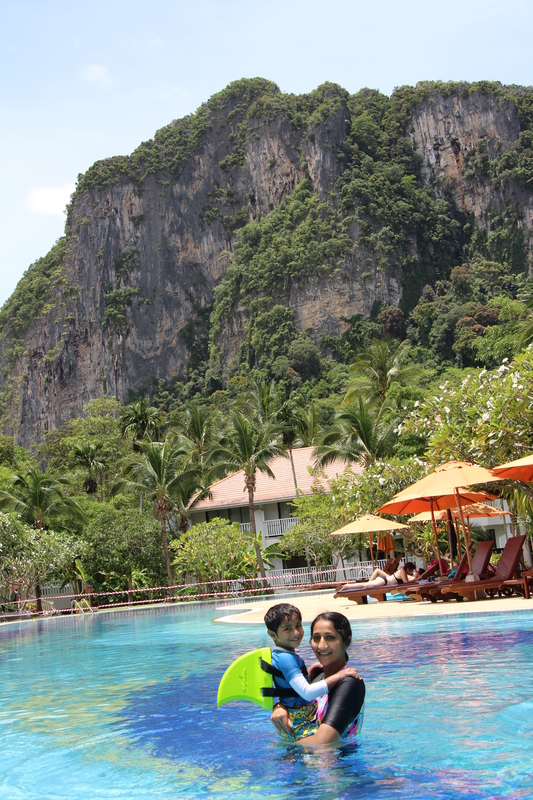 We had a fabulous time in Thailand and we would wholeheartedly recommend it to families. The country offers such good value for money but that isn’t at the expense of the choice of activities or the type of holiday you can have. Thailand also offers something for people on different budgets and you will have a great time wherever you go! 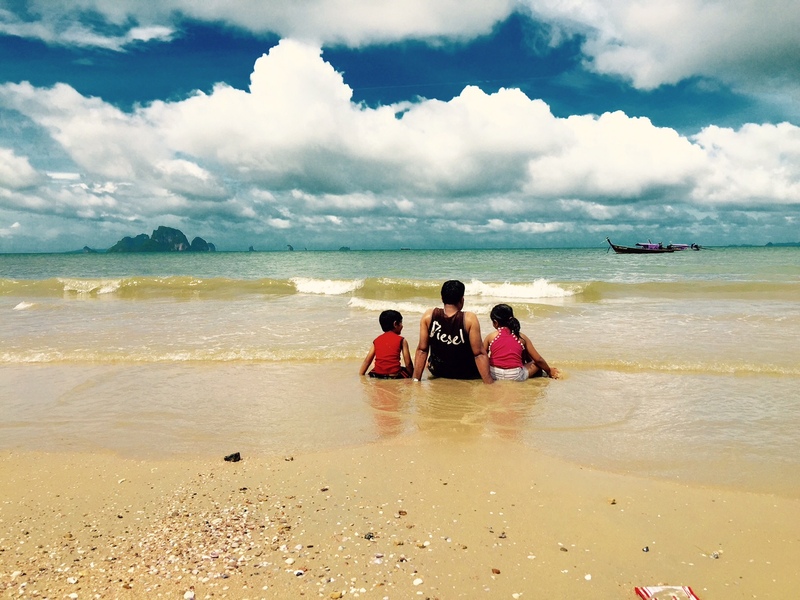 Have you been to Thailand and with children? we would love to hear what you thought! 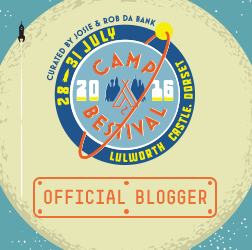 Why glamping is perfect for Muslim travellers? Ting, the last few holidays we had were in Turkey and in Istanbul the prices are similar to the UK, so everything felt really cheap in Thailand. Plus we ended the trip in Singapore which was £££! 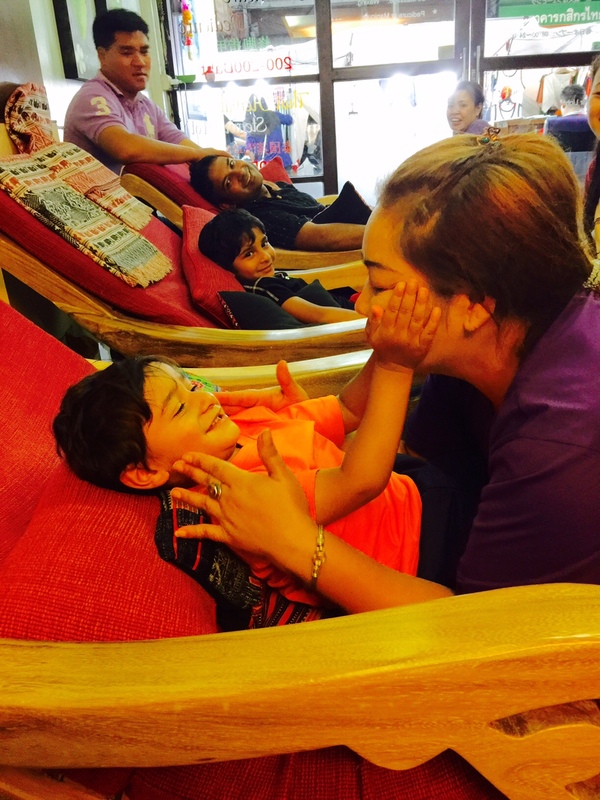 Fantastic photos Nisbah, I am one of the people who never felt Thailand was somewhere I would take children but you make it look very welcoming & friendly. I would love to visit Thailand. We very nearly went to Vietnam for our honeymoon but it was the wrong time of year for our trip. We now have a little one on the way so it’s nice to read a family friendly holiday to Thailand and know that it’s possible!! Awesome post. It looks like you had a fantastic time in Thailand. I agree it’s a fantastic destination for a family holiday. 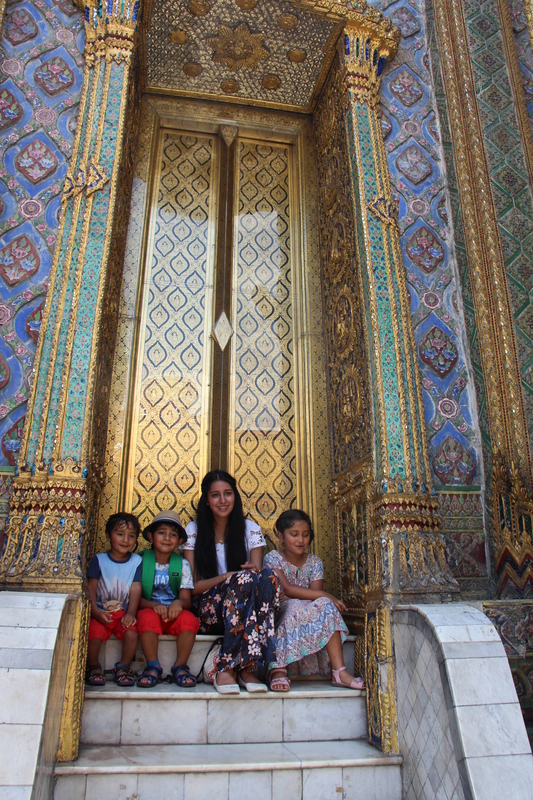 The Thai people are so friendly and absolutely adore children. And it’s such an adventure for the kids! All right, for a second time I encountered the best piece of content over the internet. I I have just bookmarked this website and return pretty soon. I seemed to be overwhelmed and as well , pushed. It will always be good to remain an online site such as this.